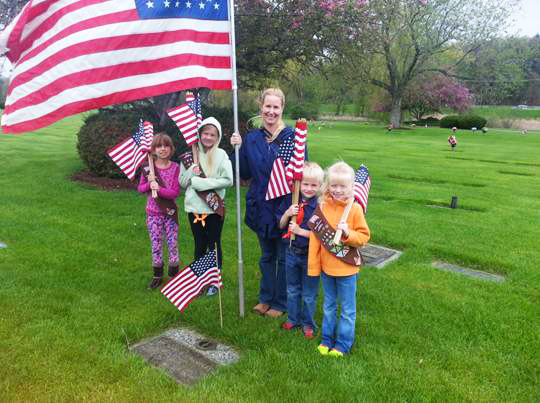 Local Girl & Boy Scouts gather on Thursday 05/26/2016 at 5:00 PM at Blythefield Memory Gardens for the annual decorating of the veterans’ graves for Memorial Day. The young people gather handfuls of flags and go row by row, ensuring all veterans were honored. Following the placement of the flags, everyone was treated to a cookout dinner by the Blythefield Memory Gardens staff. We invite you to contact us today to schedule a consultation to discuss your burial and pre-need planning.